Happy 70th birthday to the go anywhere, anytime Unimog. The now legendary Unimog turned 70 this month but can you believe that when the blueprint for this vehicle was presented to the then board of directors of Daimler-Benz AG back in 1945, they showed little interest in the project. Let’s take you back to the start as it’s an interesting bit of history. On October 9th 1946 – 70 years ago – the Unimog Prototype 1 completed its first test drive with chief designer, Heinrich Rößler, himself at the wheel testing the prototype – which had no bonnet and was fully laden with wood – on rough forest roads. The prehistory is closely linked to the difficult situation in the post-war period when Germany was suffering supply shortages. In 1945 and 1946, there was a dire lack of food. It was this situation that gave Albert Friedrich, who for many years was head of aircraft engine development at Daimler-Benz AG, his idea of an agricultural motorised vehicle which should help to increase agricultural productivity. 1945 was an elemental year for the Unimog idea and its realisation. Friedrich returned to Stuttgart-Untertürkheim in June 1945 as he wanted to help with the reconstruction of Daimler-Benz AG and at the same time contribute his idea of an agricultural motorised machine. On 4 August of that year, an engineer for Daimler-Benz AG, under the leadership of Friedrich, drew up the first blueprint for such a vehicle. This blueprint was revised, and on 7 September 1945 it was presented to the board of company directors who, however, showed little interest in the project. 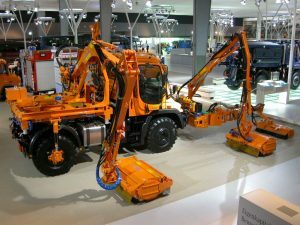 From a concept vehicle which solicited little interest when first presented to the board of company directors in 1945, the Unimog has chalked up almost 400 000 vehicles sold. It can be truly said that no other commercial vehicle in the world can function as a tractor, towing vehicle, truck, fire-fighting and exploration vehicle, bus and working machine – or as a municipal grass cutter like this amazing one shown here on a past IAA show. Despite this decision, the project blueprint was submitted on 9 October 1945 to the “Production Control Commission” of the responsible American military authority, with an application for permission to manufacture ten test vehicles. This approval was granted on 20 November 1945 by the responsible “Food and Agricultural Group” of the British and American occupied zone. By then, Friedrich had increased his contacts with the metalwork company, Erhard & Söhne in nearby Schwäbisch Gmünd, so that in December 1945 the “L” department (for Landwirtschaft, i.e. agriculture) was able to make the project a reality. Friedrich passed the leadership of the project on to his former subordinate, designer Heinrich Rößler, who took up the post on 2 January 1946. In only a few weeks, a new overall plan was developed, with the engine and gearbox positioned directly to the right of the middle line of the vehicle. This meant that the torque tubes – which protect the drive shafts – could be at right angles to the axles. As a result, only four drive joints were needed for the chassis. This was a brilliant design which, 70 years later, is still used for the Unimog of the highly mobile U 4023/U 5023 series. 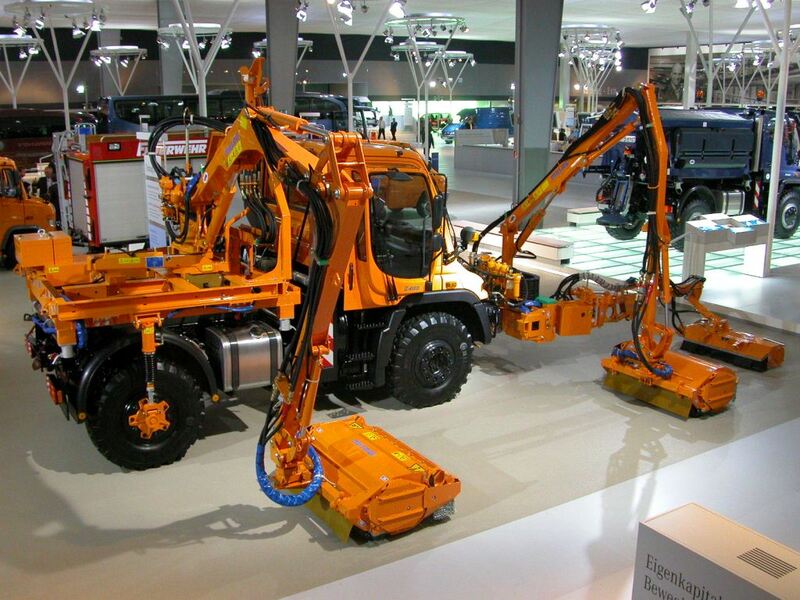 In March 1946, Hans Zabel from Gaggenau, who had been part of the project from the beginning, coined the term Unimog (Universal-Motor-Gerät, i.e. universally applicable motorised machine). By 1954, the “universally applicable motorised machine for agriculture” had become a vehicle that could be equipped with 66 different agricultural appliances. 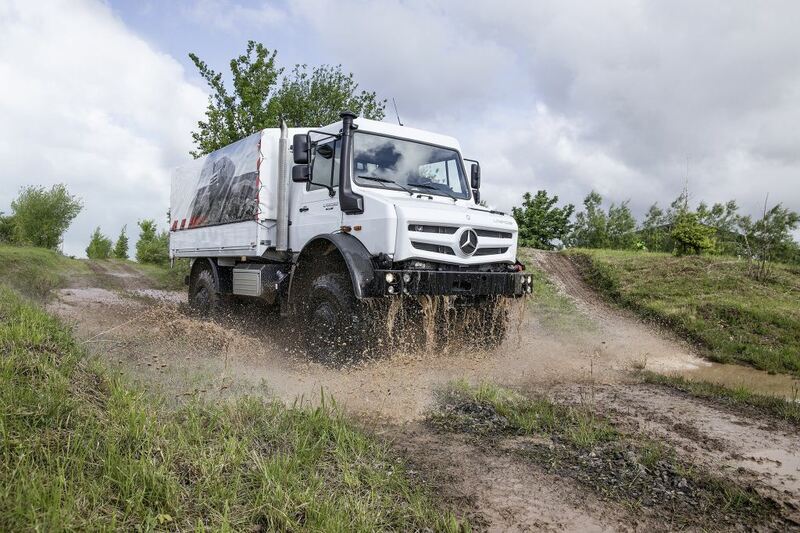 Change and technical progress were constant companions in the course of the Unimog history. 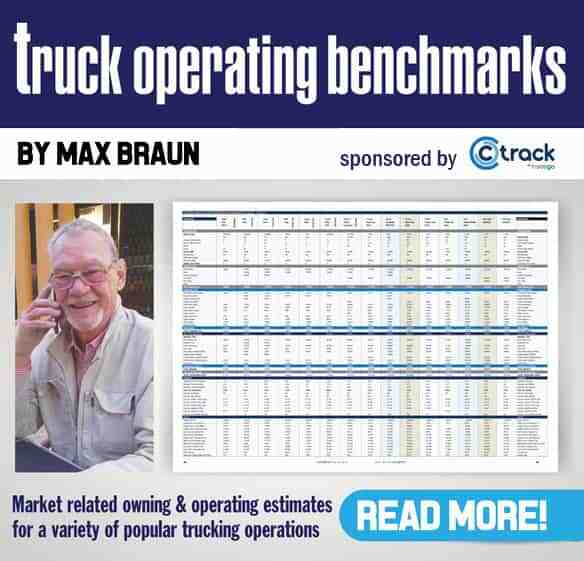 To date, there have been thirty different model series and almost 400 000 vehicles sold and it can be truly said that no other commercial vehicle in the world can function as a tractor, towing vehicle, truck, fire-fighting and exploration vehicle, bus and working machine. Happy 70th birthday to a legend. 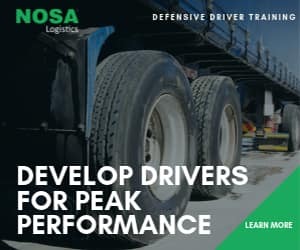 Previous articleFleetWatch hosts the first Brake & Tyre Watch for Operators in partnership with HINO.